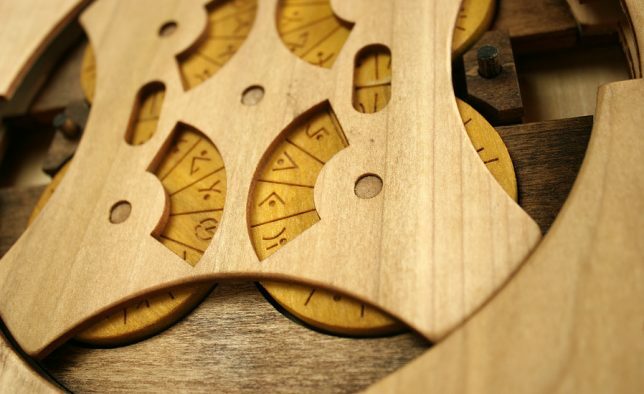 Unlike The Maze and other classic puzzle books, the Codex Silenda brooks no cheating, forcing readers to solve elaborate puzzles on each page before proceeding to the next. 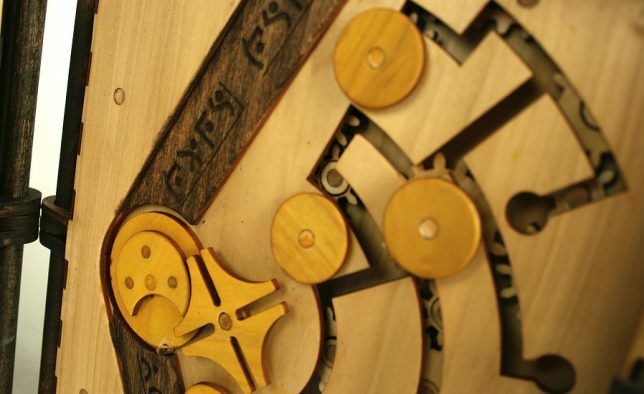 Somewhere between a choose-your-own-adventure novel, a Chinese puzzle box and a blacksmith puzzle, this five-page volume features dizzyingly complex mechanical puzzles that can only be completed in sequence. 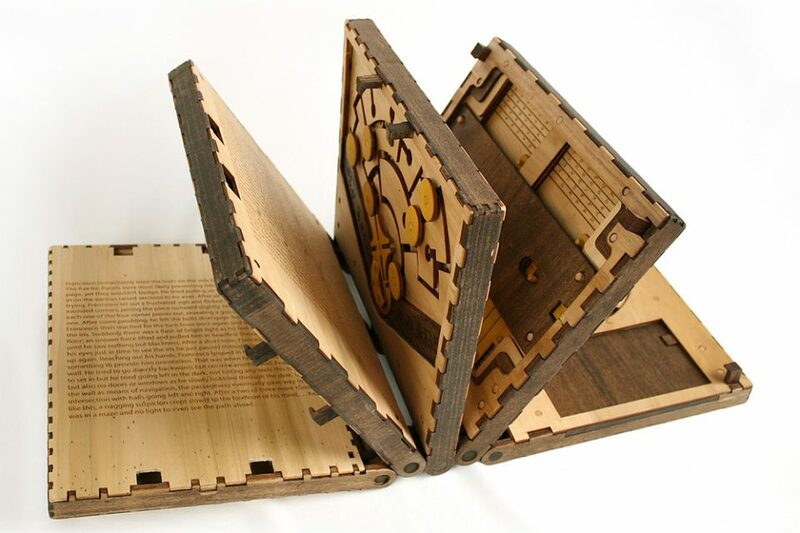 In each pair of facing pages, a short story unfolds on one side while a related new puzzle is revealed on the other. 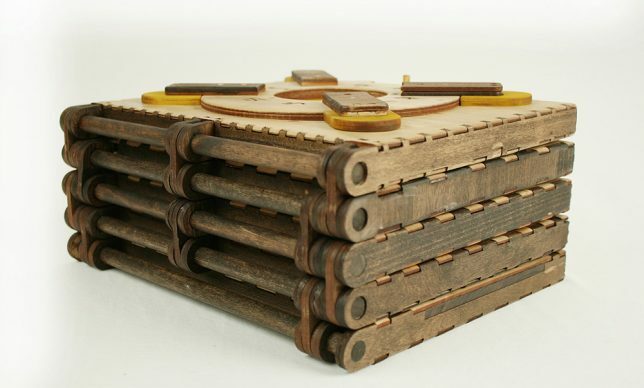 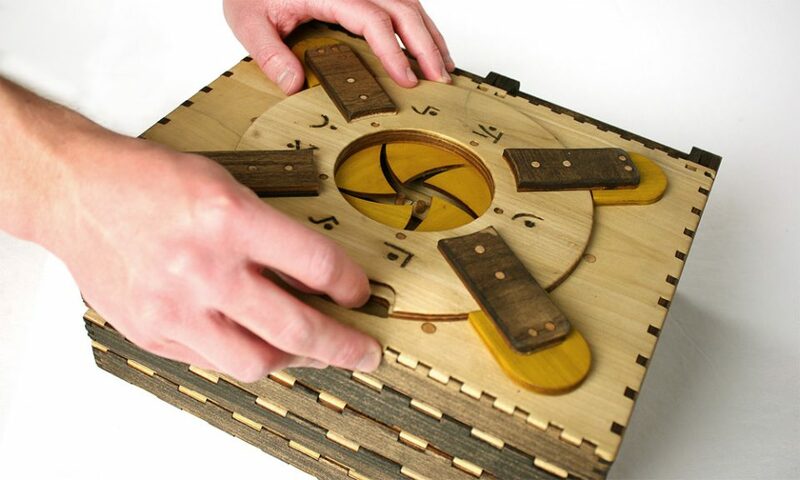 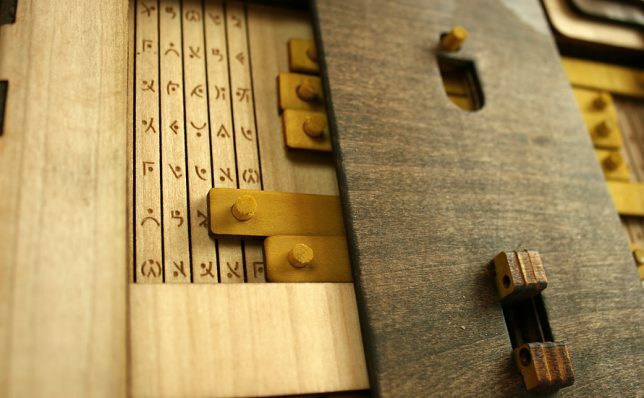 Designed by Brady Whitney, the wooden book is laser-cut and ornately detailed, full of hidden mechanisms worthy of Leonardo Da Vinci – indeed, the story itself is about an apprentice stumbling into the master’s workshop and becoming trapped inside the tome. 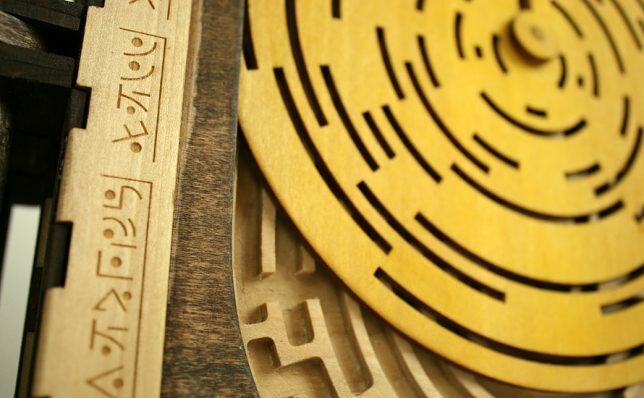 The laser-burnt edges give the work a hand-crafted but careworn look, like something you might find in a mysterious antique shop, covered in dust.